17th Dream! 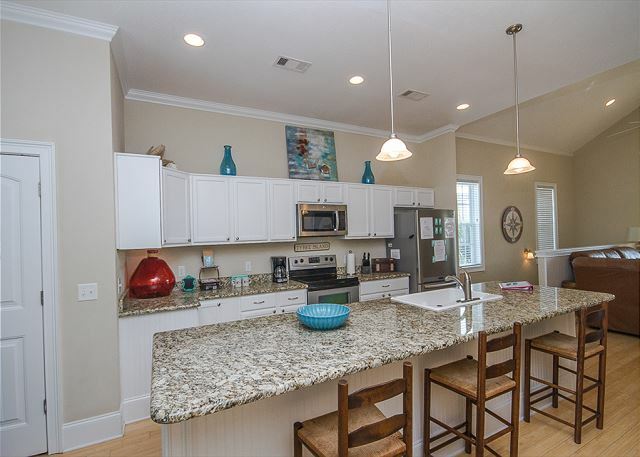 Just a 1/2 block to the beach and 2 minutes to downtown Tybee! Under the house is great for grilling and hanging out with the family! Morning nook for breakfasting... or lunching! Comfy modern living room with tall ceilings to draw in ocean breezes. 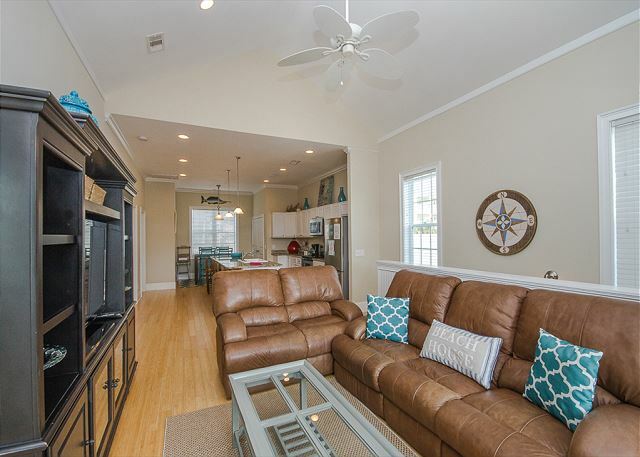 Open living plan on top floor so you can keep the family together after a day at the beach! Large screen TV is great for the family to watch! 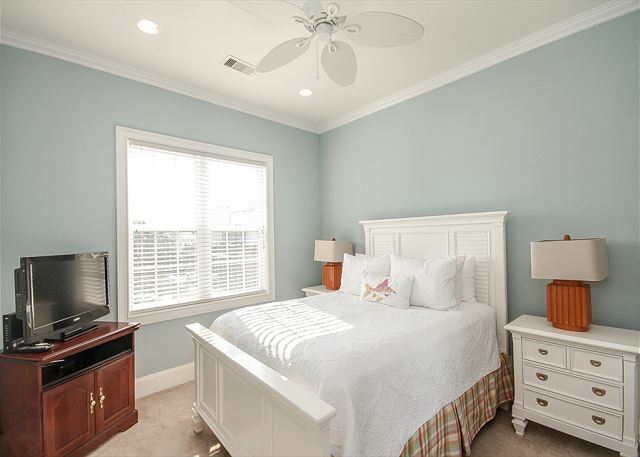 All bedrooms have queen beds so no fighting over bed size! No TV in this room. Queen bedroom #1! 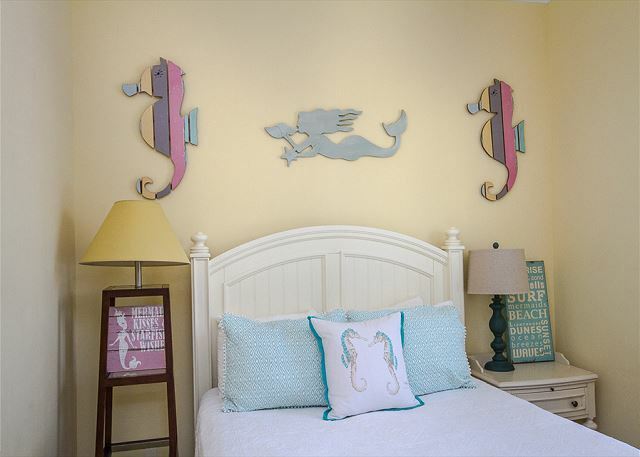 We can call this the mermaid and seahorse room. No TV in this room. Queen bedroom. 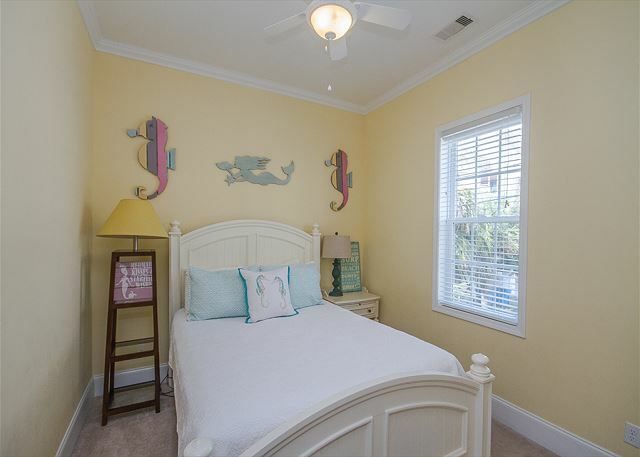 All 3 bedrooms are on the first floor and have a queen beds. All you have to do is pick your style! Queen bedroom. 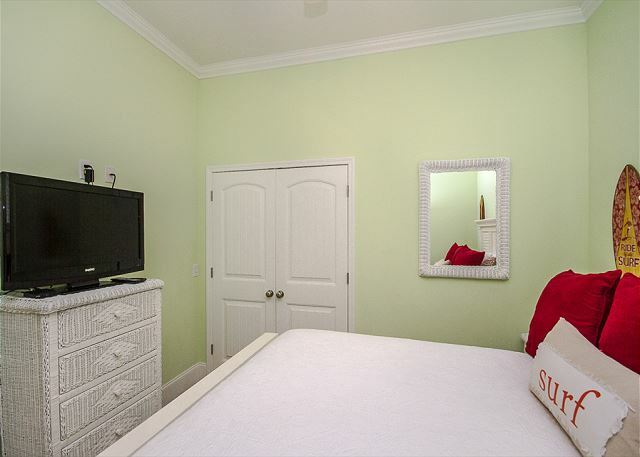 All bedrooms are on the first floor and have a queen bed. Queen bedroom # 2. Flatscreen TV. 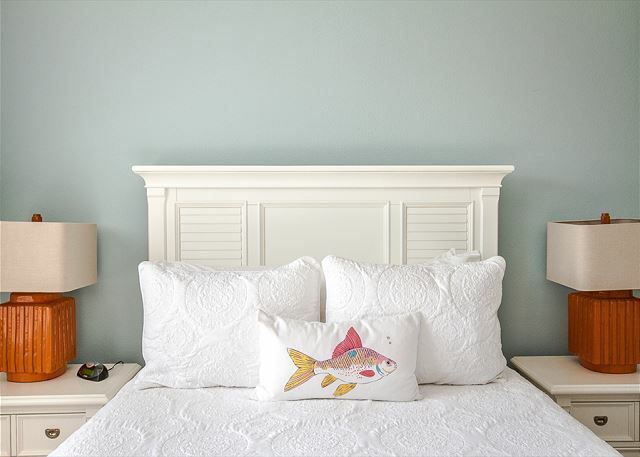 All the cozy bedrooms have a queen bed so all you need to do is pick your style! 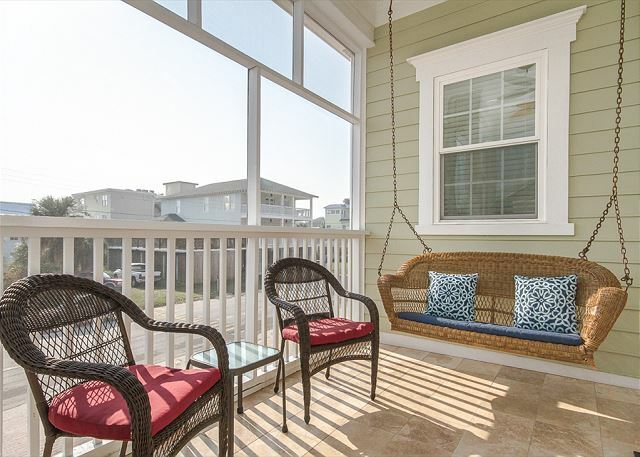 Screened porch on the top floor to catch the ocean breezes and deter any high flying bugs. 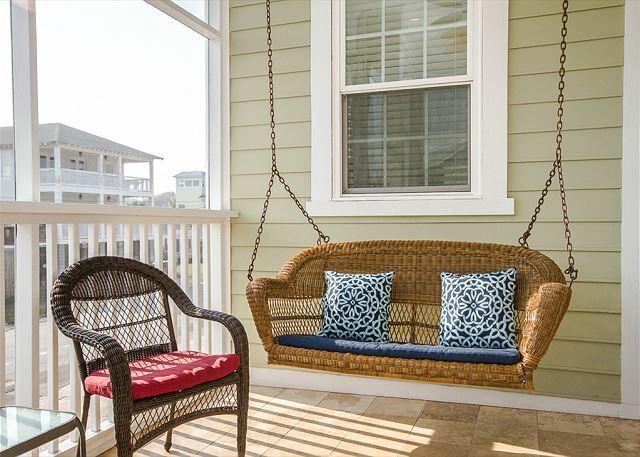 Porches are a must-have on any beach home! 18th St. crossover is just 1/2 block from 17th Dream. You almost can't get any closer to the beach! Lots of off street parking at this Dreamy home. 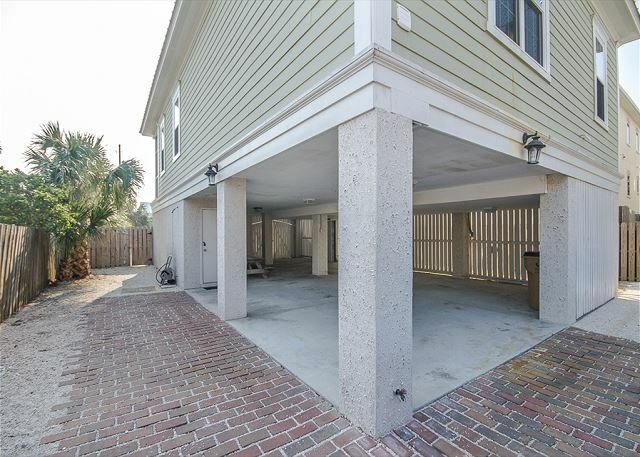 Under the house is private and shaded for grilling, storing bikes or just hanging out. The backyard is ultra modern and sleek! 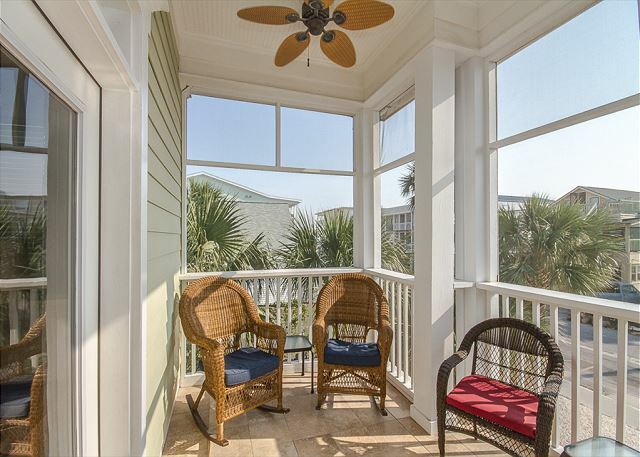 Screened in porch is on the top floor, and it catches all those wonderful ocean breezes! 17 Dreams or 100, it's your choice in this swing! Great picnic area under the house! Modern backyard with lovely palm trees! Don't you want your toes in this water? Look at that wonderful ocean! Feel those fresh breezes! 17th St. beach at low tide. 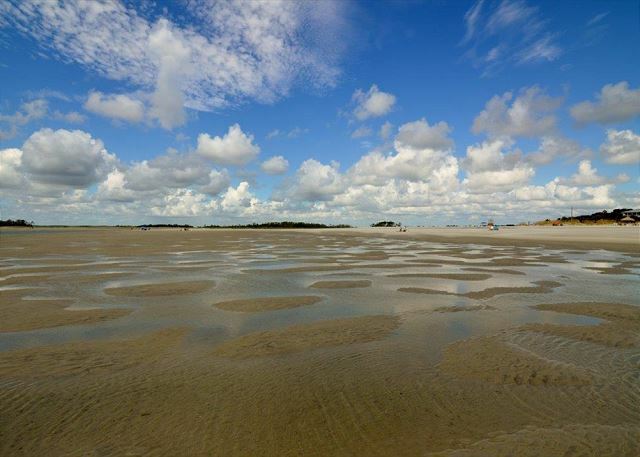 Tybee beach is wonderful at low tide or high tide. 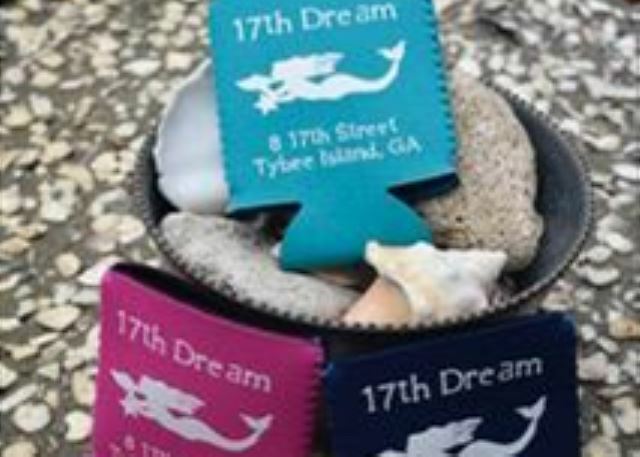 17th Dream Cottage koozies for guests! Ultra modern and comfortable kitchen with granite eating counter. 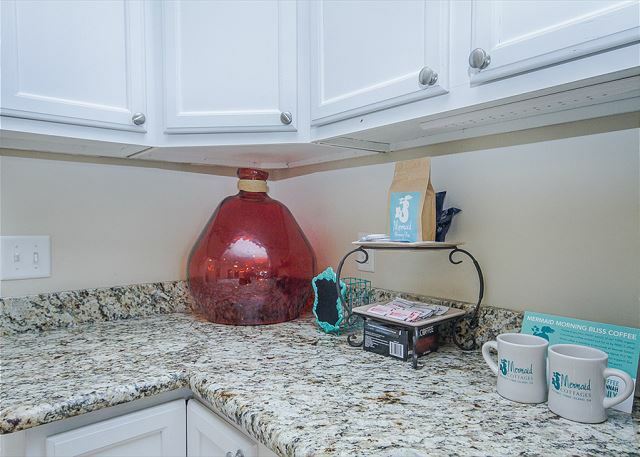 This kitchen doesn't miss a beat! You can cook and still socialize for family time. 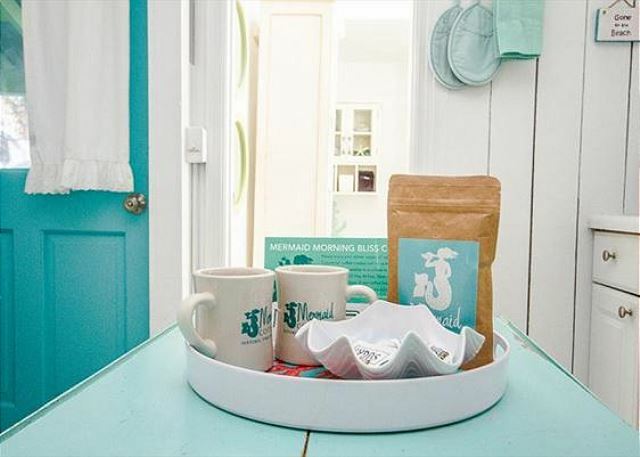 Kitchen details ~ wake up to Mermaid Morning Bliss coffee! Dining area right off the kitchen. Open living room. Has flatscreen TV. 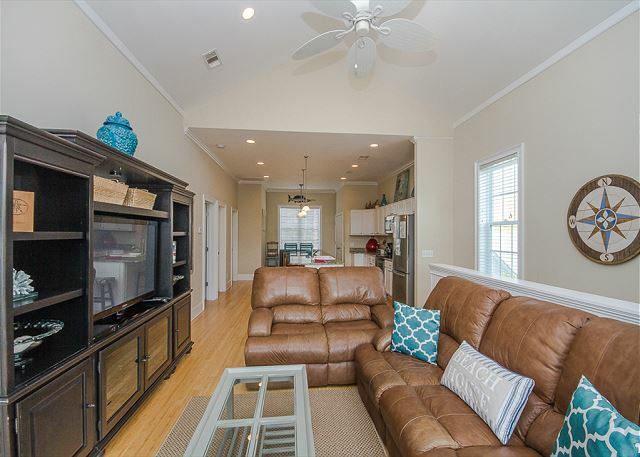 Living room opens onto screened in porch. Living room flows through into the kitchen. Great for family time! Comfy and modern living room with nautical touches. 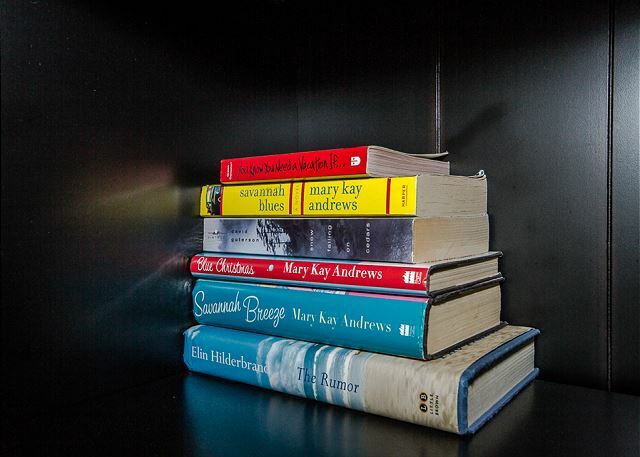 Beach (or screened porch) reading for you! 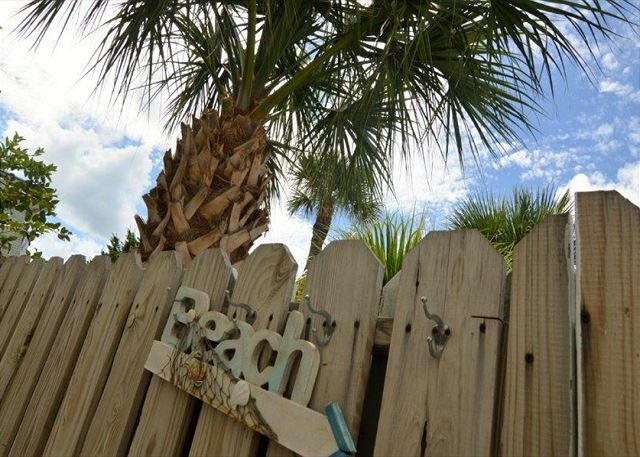 Leave us a message about your wonderful stay here on Tybee! We love these elegant touches. 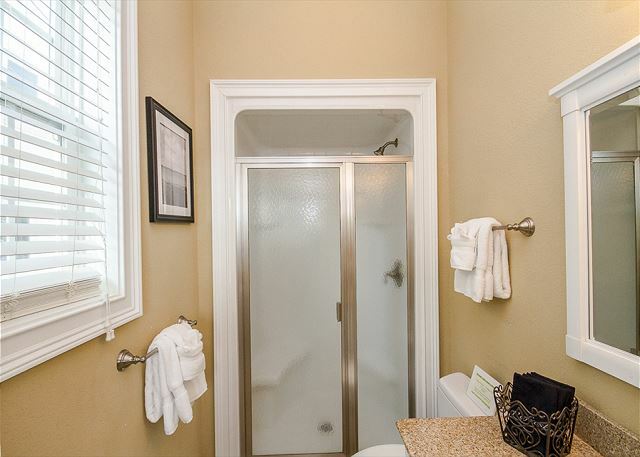 This shower is just waiting for you! Queen bedroom #1. All bedrooms have a queen beds. No TV in this room. Private en suite bathroom off queen bedroom #1. 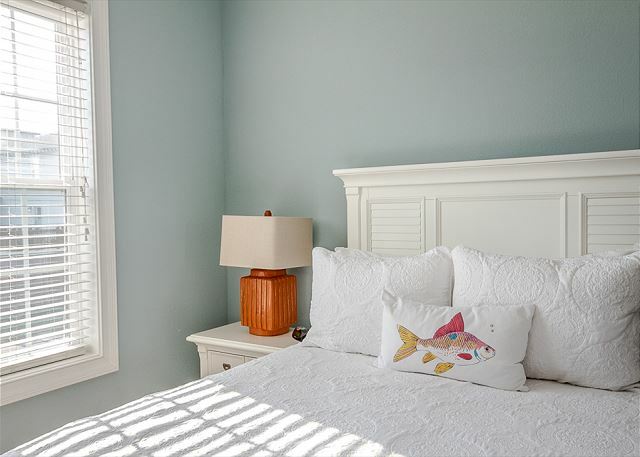 Fresh decor makes this room great for catching up on some Zzzzs. Queen bedroom #2. FlatscreenTV and a queen bed. Queen bedroom #3. Flatscreen TV. Shared bathroom for 2 rooms. Queen bedroom #3. Flatscreen TV. 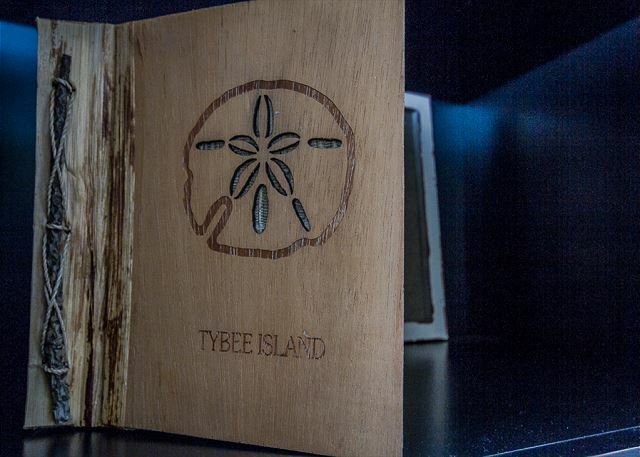 North, South, East or West, Tybee Island is the best! 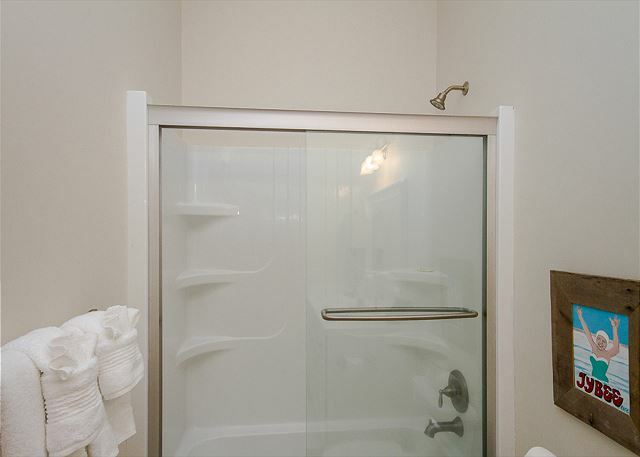 Rinsing off after a full day at the beach or before a night on the town is wonderful in this standup shower! 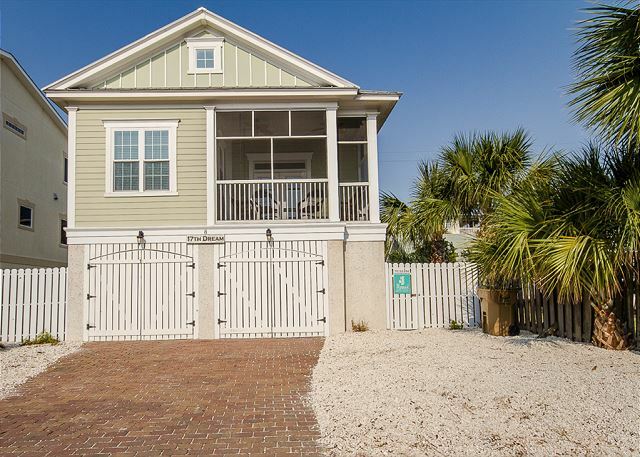 17th Dream is a beautiful raised Tybee cottage on Tybee's south end located on the beach side of Butler Avenue! 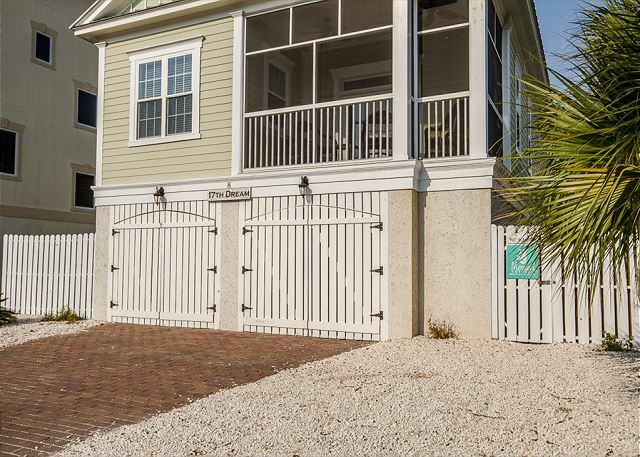 Prime location for beaching, shopping or enjoying the great food at all of the famous nearby restaurants! Or, just hanging out and relaxing with coffee (Mermaid Morning Bliss! MMM Bliss) or cocktails on the awesome screened porch with partial ocean views! 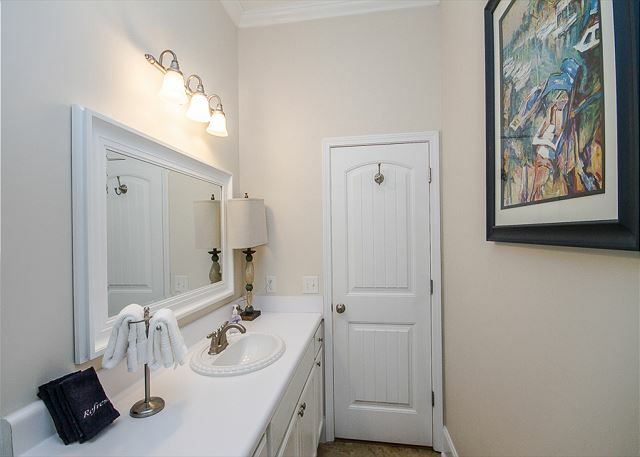 Additionally, the cottage has 3 bedrooms and 2 full baths. 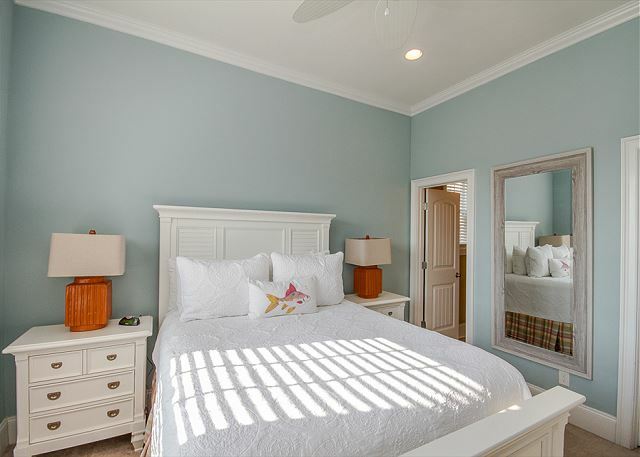 Master bedroom has queen bed, flat screen TV and private bathroom. 2nd and 3rd bedrooms also have queen beds and share a bath. 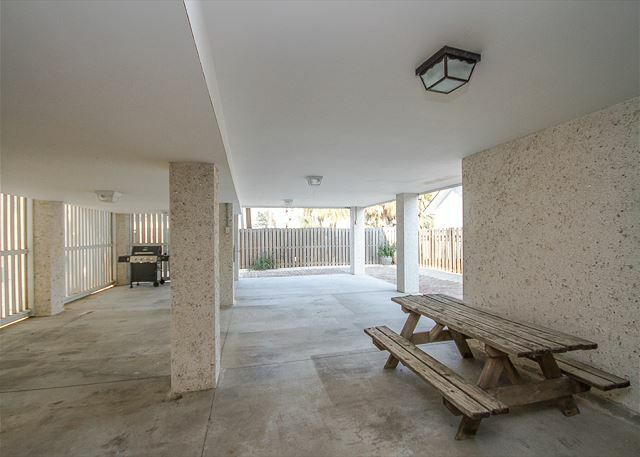 Ground level is an open covered carport and includes outdoor seating, a fenced yard for privacy and a gas grill. 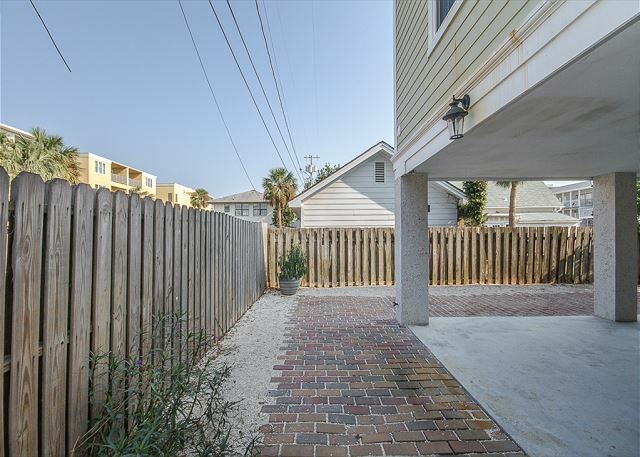 Grill up some local Tybee seafood or some dogs and burgers; you'll enjoy this great outdoor space! Get your reservations in soon as this cottage fills up FAST! NOTE: This is a raised cottage with stairs up to the main living area. Ground level is covered carport. 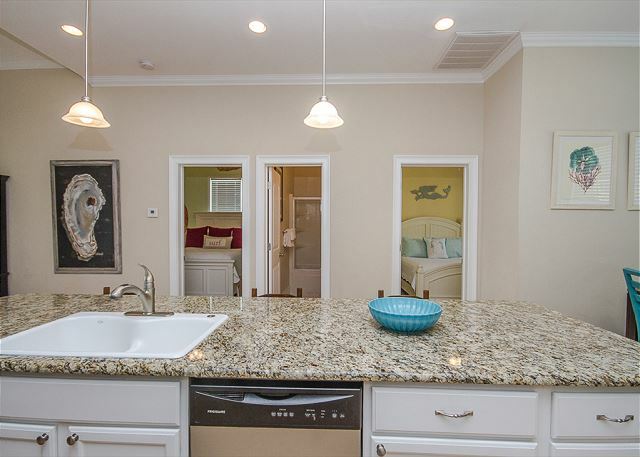 Gorgeous beach house-great for families! 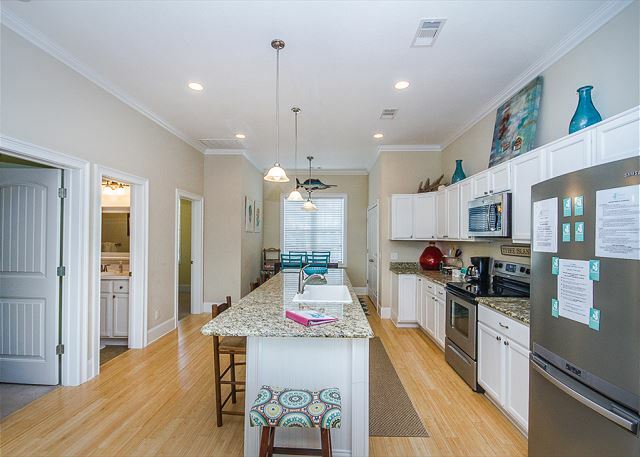 Walking distance to the beach and to restaurants! 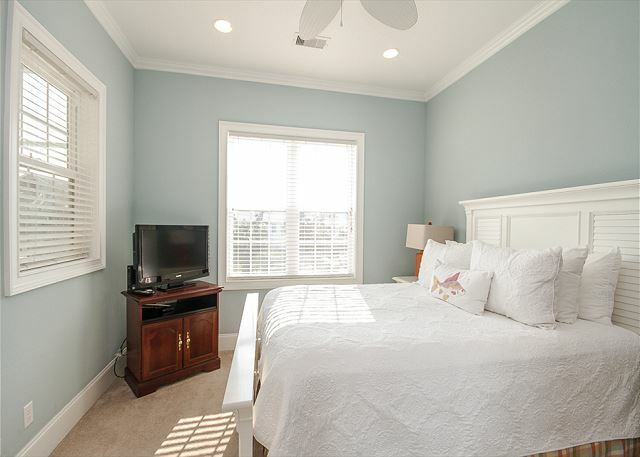 Would definitely book again for a stay on Tybee! Highly satisfied with my Mermaid and Mermaid cottage experience. Mermaids made sure I knew where the cottage was and how to get there. Then followed up to ensure all was well which it was. 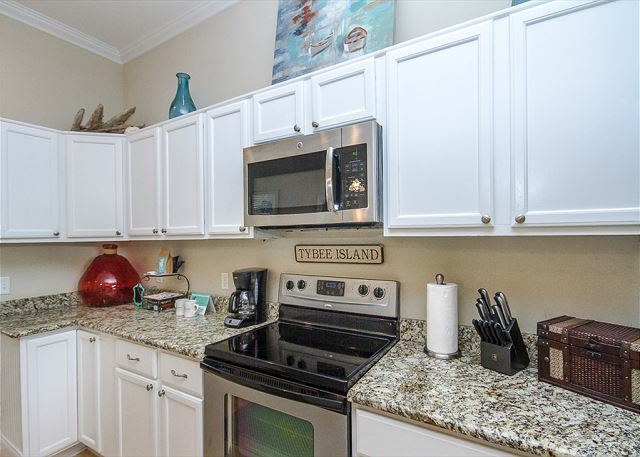 Great location just off the beach and close to all locations and activities on Tybee. Walking distance to all. Cottage was great for our family, clean, updated with all things necessary for a our happy stay. We’ll be back for sure! a guest from canton, GA does not recommend this vacation rental. The house was nice, but the appliances were dated and I was worried wouldn’t work. The silverware and cutlery needed to be replaced and the carpet in the master bedroom needed to be deep cleaned or replaced. We were only there 2 nights, but there weren’t many supplies provided. We have stayed at a Mermaid Cottages before that had more basic supplies. We only have a single trash bag so it was hard to clean like we wanted to when we left. We also weren’t provided with all the codes we needed to access the house but luckily the Mermaid Cottages contact answered her phone. 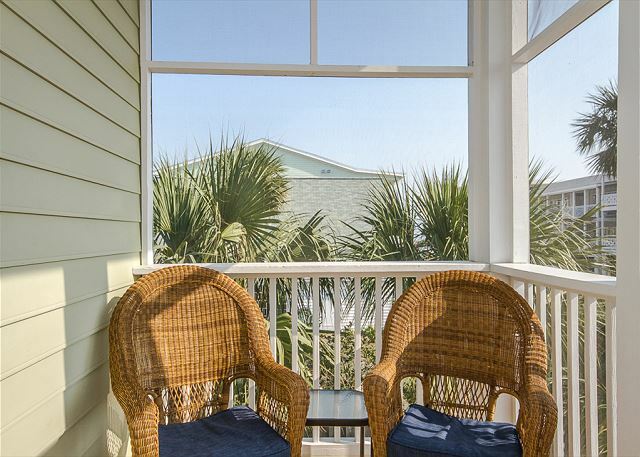 The proximity to the beach was great and we enjoyed the screened front porch! Our family had a great beach vacation thanks to 17th St. Dream. The house was clean, comfortable, and the perfect size for a family of four. We loved spending time on the screened porch. The porch swing, ocean breezes, palm trees, and lack of bugs were a dream. We especially loved the short walk to the beach. 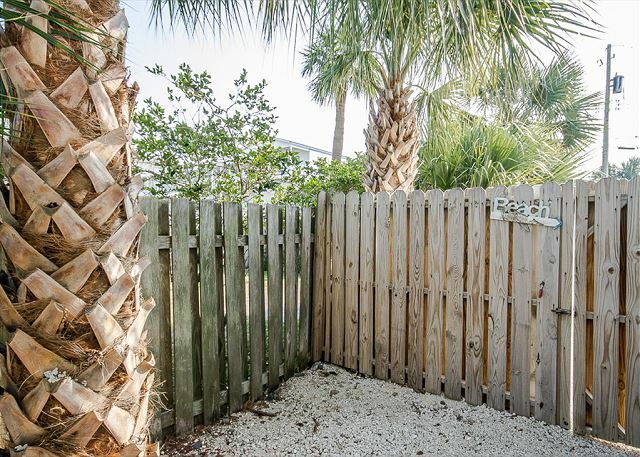 We also appreciated the outdoor shower to rinse off the sand when we returned and the gated area to store our beach gear. We really loved our time on Tybee Island! Thanks Mermaid Cottages! What a wonderful place! So close to the beach, shopping and food. The cottage was perfect! Will stay there again! 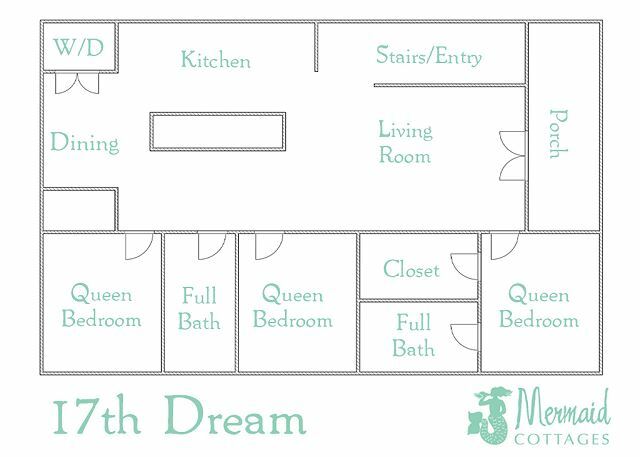 17th Street Dream is truly a dream! 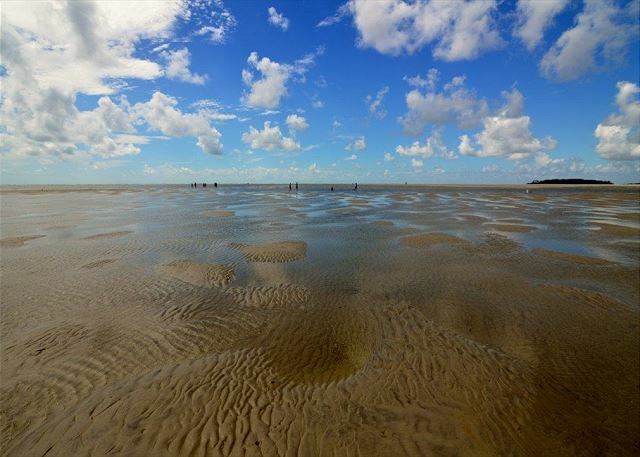 I am a native of Savannah and loved having a mini-vacation on Tybee. 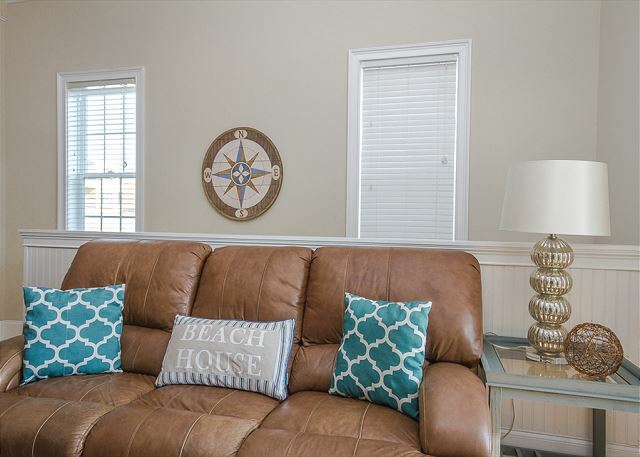 The house is a perfect getaway and is steps from the beach. We loved being close enough to the beach and shops to walk, yet far enough away to have a calm environment. 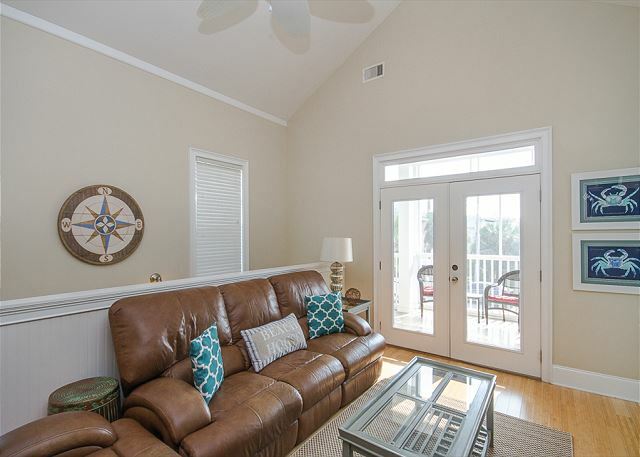 I appreciated that this property is beautifully decorated and has a screened in porch. My husband was glad to have the secured lower level so we didnt have to worry with parking in the street. The kids loved the beach proximity. We really enjoyed our time at 17th St Dream Cottage. 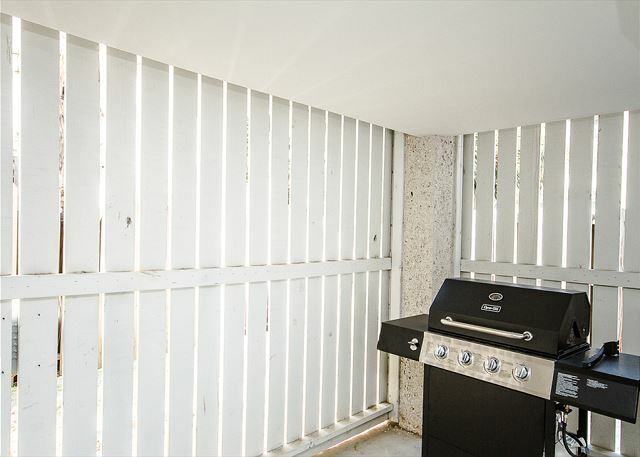 Sometimes photos and reality don't sync up when online renting, yet this spot was exactly as described. The location was perfect, beds were super comfortable and the kitchen well equipped for a rental. Thanks for keeping the dream alive! We had a wonderful trip! Plenty of space for the three couples on our trip. The cottage is decorated tastefully and was stocked well for our stay. Location could not have been better.. close to beach and a good restaurant. One bed was harder than preferred but the other two were nice. This rental was absolutely perfect for my group. 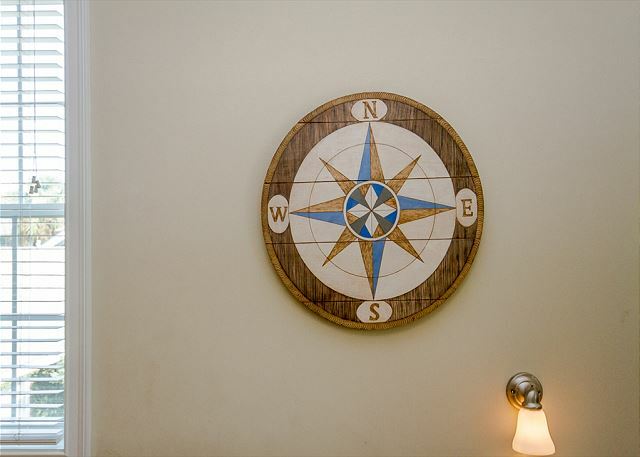 From the pictures and map, you can tell that the house itself and its location is completely ideal. But that still does not do justice to this perfect home. What the pictures don't show you is gorgeous high ceilings in the house that just makes in feel all the more luxurious and spacious. The kitchen is enormous and is fully equipped with utensils that I never expect from a rental. And the house is STEPS from the beach. The beds are very comfortable and the linens are high quality. The screened-in porch makes for perfect sunrise and sunset watching. I would rent again in a heartbeat. Great stay at Tybee with adult family. 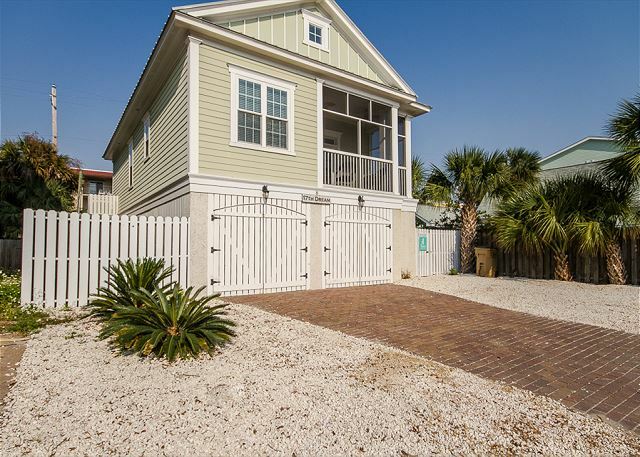 The house is convenient to beach. 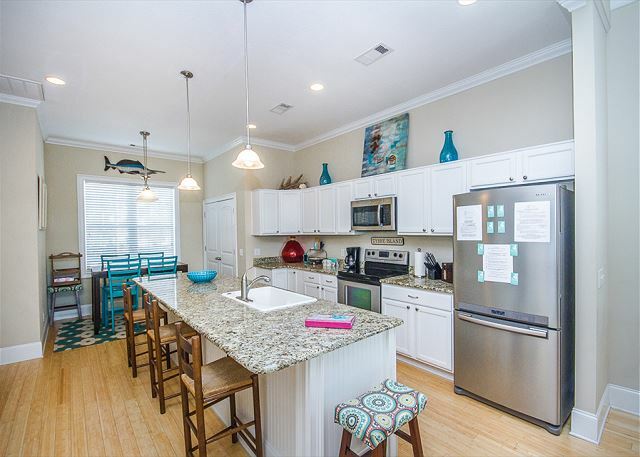 Comfortable beds, well appointed kitchen and a lovely screened poach makes this beach house a dream. 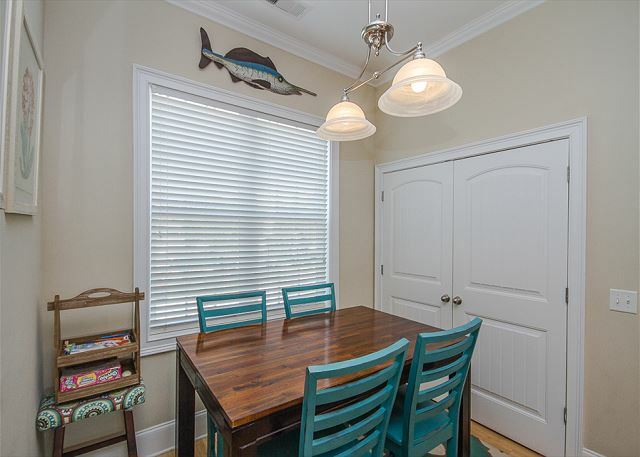 We've been coming to Tybee for years, and this is the best rental yet. The furnishings and linens are nice, and it was CLEAN! 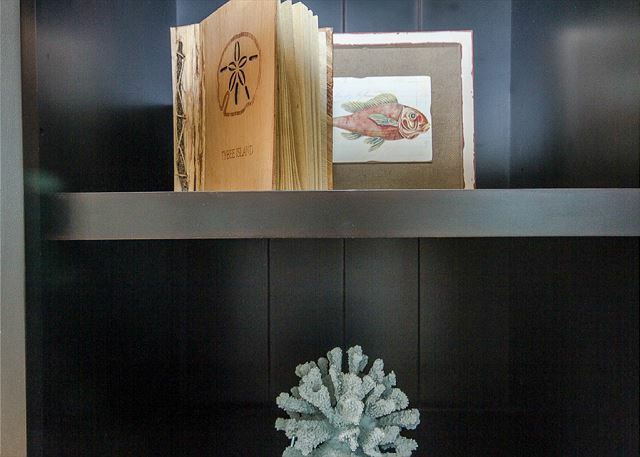 Mermaid Cottages provided very thorough information regarding the house as well as the area. 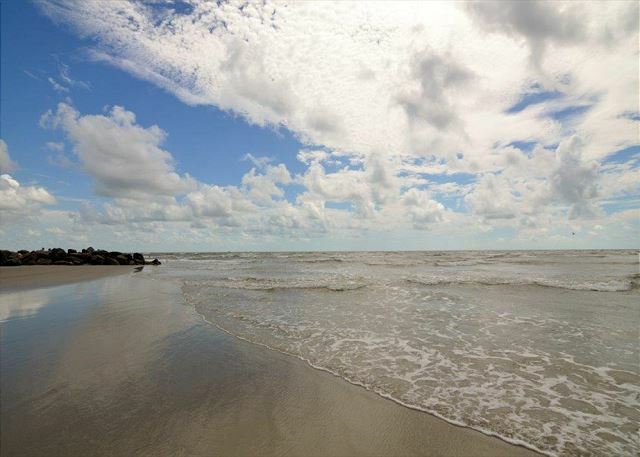 If you like being close to the beach, shops and activity, 17th Dream is in the ideal location. 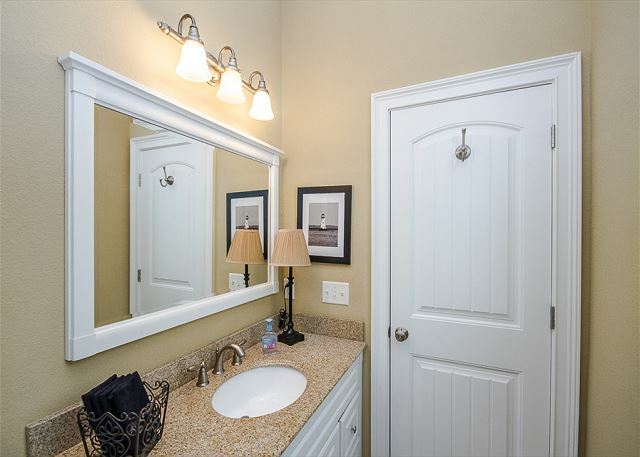 The property was very clean, well maintained and decorated beautifully. 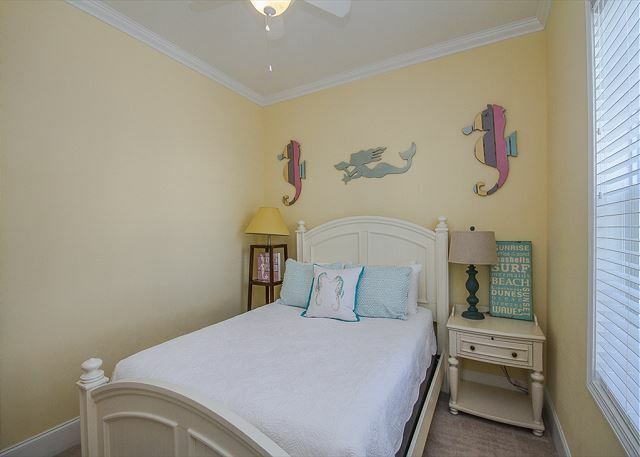 My friends and I did not originally book this cottage, but after Hurricane Irma left her imprint on Tybee, the Mermaids moved us to 17th Dream which was a substantial upgrade from our original booking. Having stayed in Mermaid Cottages on 12 different occasions, I can assure you that they always provide impeccable service and their cottages never disappoint. 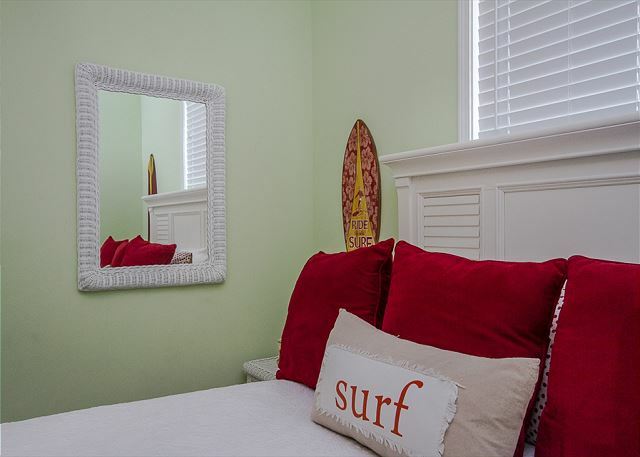 The 17th Dream is a perfect place to stay in Tybee. The house is so clean, well appointed, and comfortable. We felt right at home! 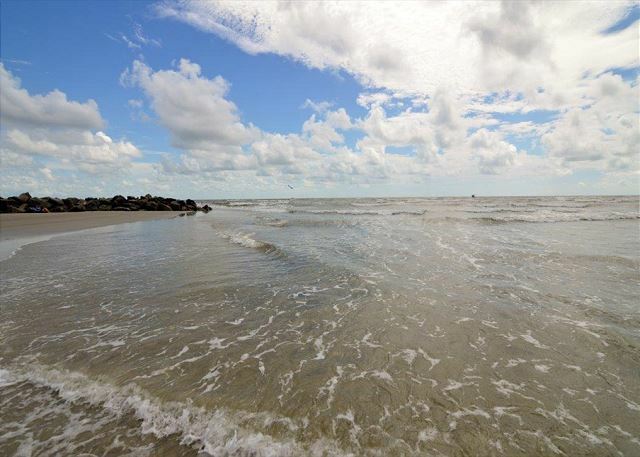 The location is wonderful and conveniently near the strand and beach. 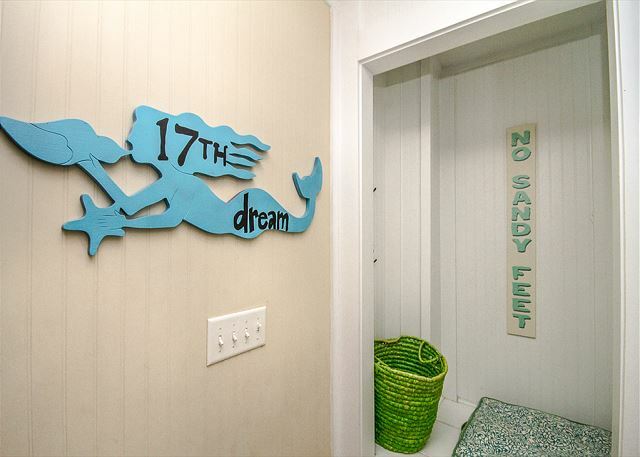 Mermaid Cottages did wonderful job welcoming us to 17th Dream and Tybee Island. Thank you! 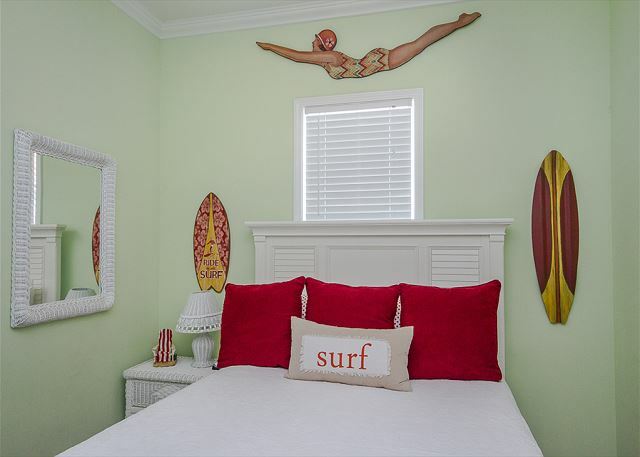 This is the perfect space for a girls' weekend getaway. We had plenty of space and the house is so clean! Less than a 5 minute walk to the beach. It was perfect! In the 3 days that we stayed, the PM called twice to ensure we had everything we needed. Couldn't recommend enough! Great to hear you had a wonderful girls trip! Let us know when we can help you with more of the same!! Denise and the Mermaids! Our family of four had a wonderful time staying at 17th Dream! The home is very clean and updated. 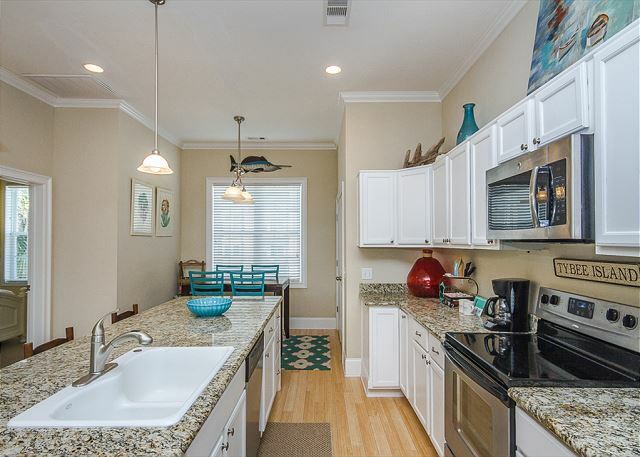 It is so close to the beach and restaurants! It's also a short drive to Savannah. We had a great time! We highly recommend it! We could not have been happier with the house and the location was the icing on the cake! This was a perfect location to celebrate one of our friends getting married in September. We spent tons of time on the porch and appreciated the very short walk to the beach. 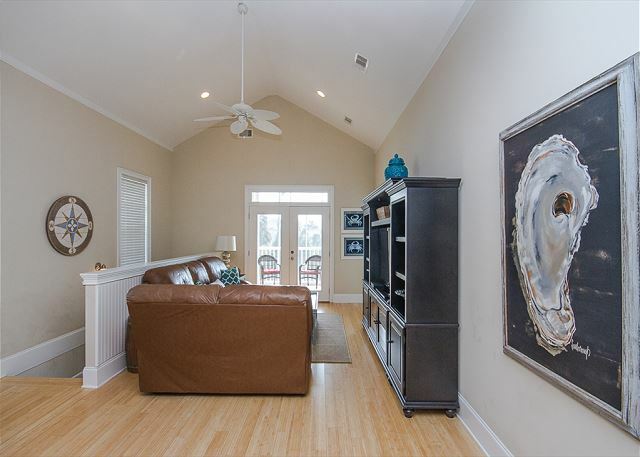 You can tell that the house is very well taken care of and the open floor plan made it easy for 6 women to feel comfortable at all times. I would definitely recommend this space and would book again if needed! Great time at 17th Dream! The home was perfect for our family vacation. Very well decorated and the beds were very comfortable. The home was very clean! 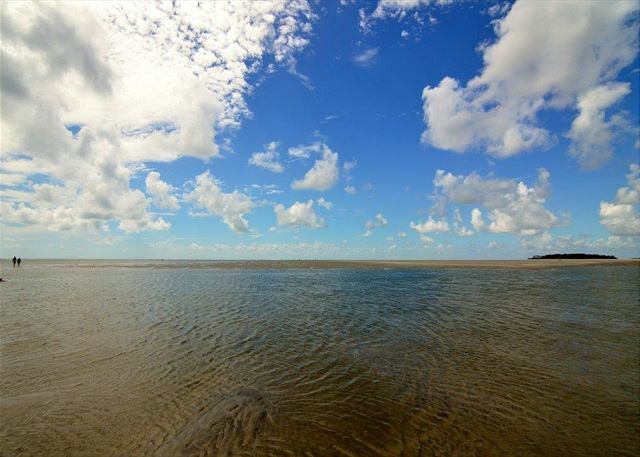 It is very close to the beach and just a short distance to resturants and shshops. Made for a great week on Tybee and made it easy to visit Savannah during our stay! Beautiful cottage in great location. My family and I loved the 17th Dream cottage. 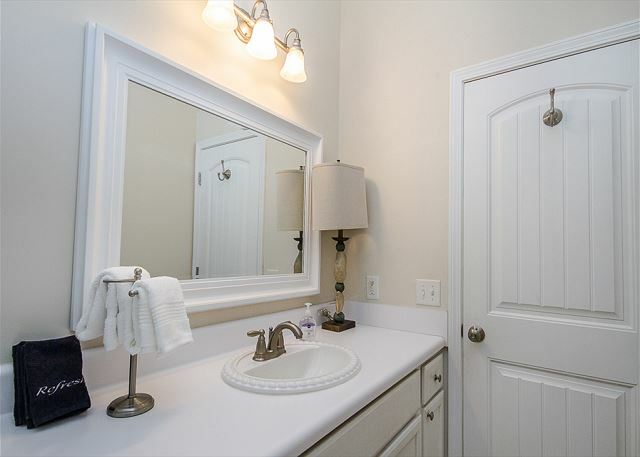 It was very clean, tastefully decorated and had a huge kitchen that was well equipped. The location was perfect, we could walk to the beach, shopping and restaurants in minutes. Will stay here again without a doubt. WONDERFUL. Will stay here again! 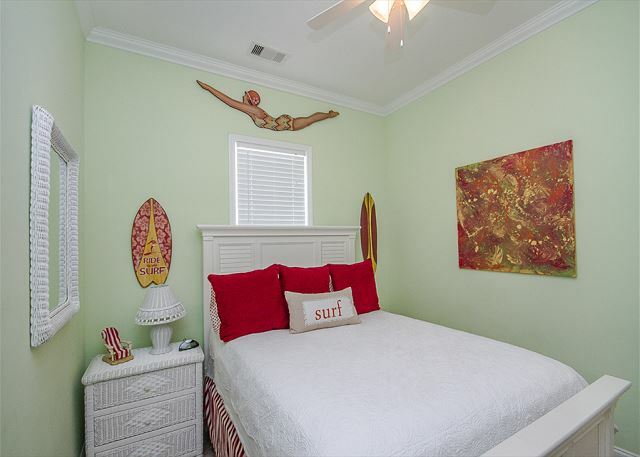 SUPER LOCATION, CLOSE TO BEACH AND RETAIL. VERY CLEAN. CAN I BUY THIS PLACE? Wonderful home next to the beach. Great- we had a family of 5. It was spotless and comfortable. 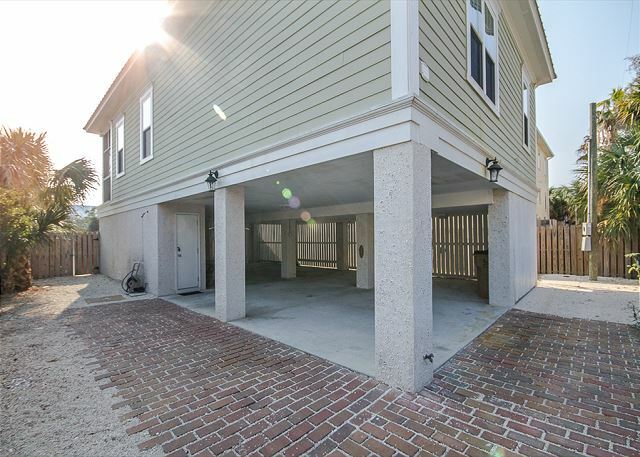 Very close to the beach(1/2 block)- close enough to walk to multiple stores/restaurants as well. Great location, very clean and modern home with exceptional space both for people and for gear. The whole first floor is a raised and covered area that can be used as a garage or a rain/stormproof area for kids to play. A minor improvement suggestion would be to have a clothesline or drying rack outside for wet stuff, but otherwise this really is perfect. A Dream Come True at 17th Dream Cottage! This place was phenomenal! We wanted a little family getaway that was close to the beach and this was the perfect spot!! The place was nice and clean and very inviting! 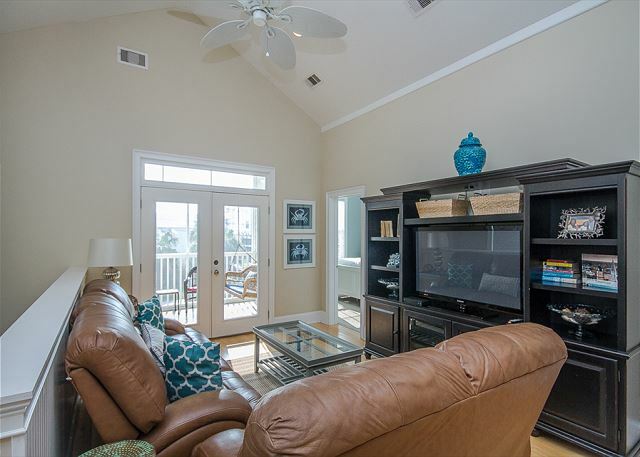 We loved the screened porch, spacious and open kitchen (fully stocked), living space and the very comfortable beds and pillows! We also loved the privacy at the bottom level and being able to pull our cars in and close/lock the doors. Also loved the very short walk to the beach. Mermaid Cottages was in touch to make sure everything was going well the entire time, they were awesome. We will be booking this place many times in the future!!! 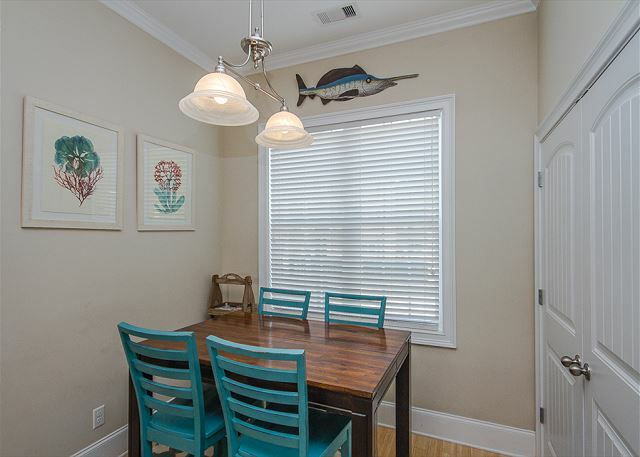 If you are looking for a great, professional, fast, easy, pleasant way to find a rental on Tybee Island you need to contact Mermaid Cottages and ask for Denise Winn. It was A FANTASIC VACATION! Very comfortable, beds were amazing!! Great location!! The house was great. It was clean and had all the necessary equipment for our group. The Mermaid Cottage staff was extremely helpful when I had questions both before and during our stay.